Printers and Copiers: What Can You Do with Old Cartridges? Printers and copiers are the workhorses of the modern office, doing a little bit of everything–which means that they can go through a lot of ink and toner cartridges. If you don’t know what to do with these cartridges, they can start to seem like a big problem; luckily, there are a few savvy recycling tips that can help you out. Although paperless offices are becoming more and more common, there will always be a place for printers and copiers in the business world. Since these machines aren’t going anywhere anytime soon, it makes sense to find responsible, efficient ways to minimize the impact they have on the environment and on your budget–which is why recycling cartridges is such a great habit to get into. There are plenty of ways to recycle, so all you have to do is find a process that fits your business and your culture. Want some help getting started? Here’s a little recycling inspiration! Find a local office supply store. Many office supply stores have their own recycling programs and are more than willing to help you save the environment by handling your ink and toner cartridges responsibly. Just make sure to check the website before you drag those cartridges down to the store! Look into the eCycle Group®. The eCycle Group® helps you turn recycling into a fundraiser by paying you for original-brand cartridges in good condition. You can collect cartridges from across your community and help any number of deserving organizations. If you use original-brand cartridges and have only emptied them once, it’s possible that you could purchase a refill kit and use them again. Kits are specific to brand and series, so make sure to do your research. Printers and copiers don’t have to be a strain on the environment. For more tips and tricks for recycling that is effective and efficient, contact us today! When it comes to consumables, printers and copiers sometimes seem to be working against you. They go through ink, toner, and paper so quickly–and then you’re left with a big bill to refill everything. Luckily, your printers and copiers don’t have to continue being traitors to the budget. All you have to do is put them to work for you! Multifunction printers, high-end copiers, hundreds of features and finishing options–these are the things that make your print environment so important to everything you do. However, when ink and toner are so expensive (not to mention hard on the environment), your printers and copiers always need to be working for you instead of against you in the battle over consumables. Luckily, with a few simple tips, you can cut down on waste and inefficiency without spending any extra money. Tip #1: Choose high-end consumables. You get what you pay for, and when you pay for cheap consumables like toner cartridges, you might get damage to your machines. Don’t risk it! Always go with high-end, brand-name consumables that are compatible with your printers and copiers. You’ll save money in the long run. Tip #2: Prioritize your prints. The truth is that not all documents were created equal–which means that the less important ones don’t need to be wasting your ink. Use settings like “grayscale” or “print text in black” to make sure that you’re spending money to perfect only the most crucial papers. Because print cartridges can be tough on the environment, some providers have started recycling them by simply refilling the toner. It’s important to do your research and find reliable warranties, but in many cases, recycled consumables can really benefit your budget–and Mother Nature will be grateful, too. 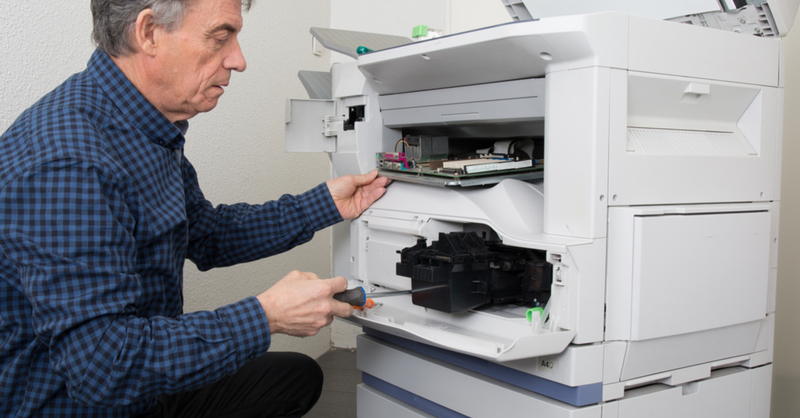 With these tips, you can put your copiers and printers to work for you. If you’re looking for more ways to save money on consumables, contact us today!